Anyone who knows me knows that I am a huge animal lover and supporter of humane treatment of animals. I do have concerns about the way in which wool is sourced from factory farms and the environmental impacts of mass livestock concentrations. Recently I've seen a lot of anti-wool growing propaganda on the Internet and I've tried to be impartial and reach my own conclusions based on both sides of the issue. I like to know where my wool comes from and prefer to buy from small farms where I know the animals are well tended-to and treated more or less like pets. This isn't always possible however. Although I don't eat meat, I understand that even on some of these small family run farms sheep are "dual purpose" which means they are killed for their meat too. It's unfortunate, but there isn't much I can do about that. What I CAN do however is NOT support big farms and the animal slaughter industry. I wanted to purchase some Sharlea Merino, but at the same time make sure that the wool was sourced humanely. So when Natalie of Namaste Farms offered some sample fleece I thought I'd give it a try. Knowing where this wool came from and how the sheep are raised in a very controlled environment was reassuring. 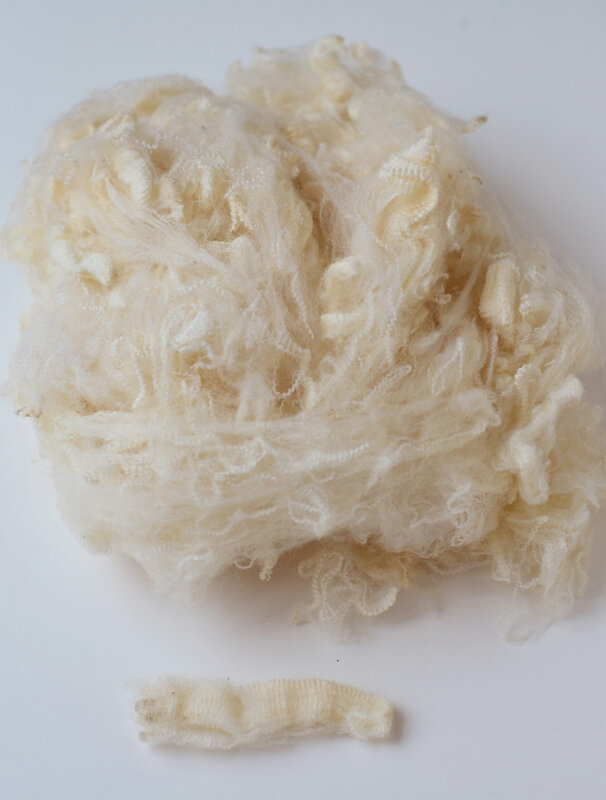 Sharlea is a registered name for a type of Saxon Merino that has been carefully bred and raised with specific husbandry practices that result in a very fine, exceptionally clean fiber without any weather damage to the tips. 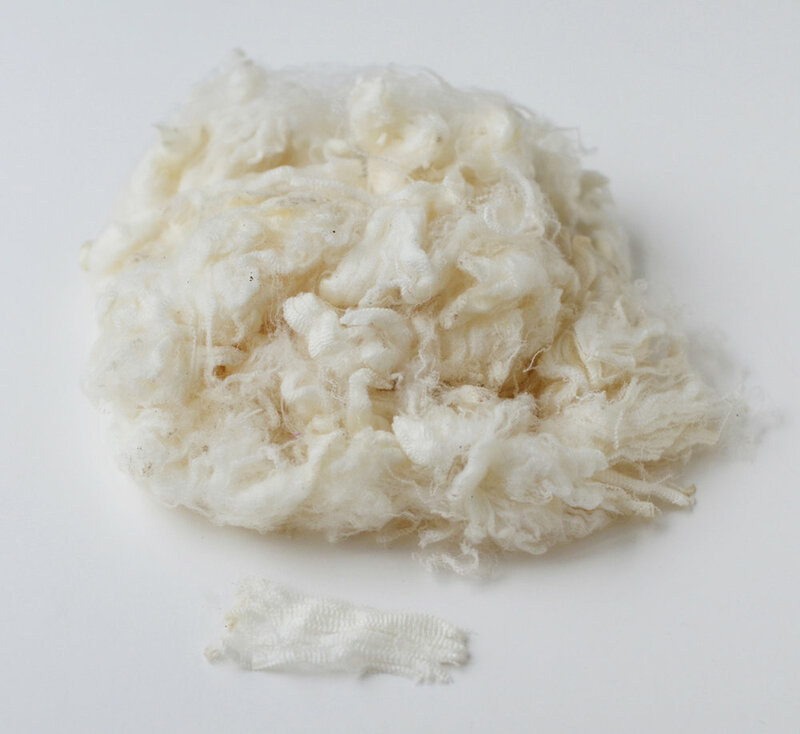 Sharlea fiber diameters run from 12 to 15.5 microns (indisputably ultra-fine) and they are also the highest yielding of the Merinos, with more than 75 percent clean weight derived from the raw fleece. The housed sheep industry began in the early 1970s when Mr Wallace Reynolds, a grazier at ‘Sharlea’, Horsham, Victoria and Tom Harmsworth, the Director of the Melbourne College of Textiles noticed that animals kept in sheds for drought-feeding produced an extremely high quality fibre, free from many wool faults found in grazing sheep (Cottle, 1991). The industry gradually increased in popularity until 1990 where there were approximately 55 sheds each with an average of 300 sheep, producing a total of 250 bales per year (Cottle, 1991). There are approximately 40 ultra fine wool housing systems in Australia, which are concentrated in Victoria, New South Wales and Queensland involving an estimated 25,000 sheep. The majority of Sharlea growers house sheep in multiple pens of 3 to 20 sheep (usually 10 to l5). The sheep housed for Sharlea wool production are usually superfine Merino wethers from Saxon bloodlines. I wanted to learn more so I tuned in to Namaste Farms BlogTalk Radio cast where Martin Daly, a sheep expert discussed the housed sheep practice and the history and fiber properties of the Merino breed. He went on to say that sheep with this fine of a fleece must have steady and well controlled nutrition and low stress in order to grow fine micron wool without any breaks (weak spots). If an animal is stressed at all or reproducing, it can weaken the fiber. That is why they only use whethers (castrated males). These males would normally be sent to slaughter but they are valued for their prize fleece instead. Sheep who graze in a pasture can encounter all sorts of stresses such as predators, drought. and parasites. These sheep are kept in ultra clean pens and it really shows in the cleanliness and pristine condition of the raw fleece. So, I took a look at this fiber and it is uhhh-mazing. Wowza! Here are some photos of the fiber. The 16.6 sample has a slightly longer staple length but it's very hard to tell the difference in softness. Both have very low grease. When I tested the strength, they made a nice sound and were solid. This sample had weathered tips and an almost dry feel. A deep dust penetration line will result in a lower yield because the fleece is not very dense. There is a big difference between this fleece from a sheep that was raised in the desert and the housed fleece. Natalie said the grower called the 15.4 sample "milky". It just doesn't have the same brightness to it. It's just a little less white and more on the creamy color side. It felt like it had a bit more grease in it. It's still a lovely fleece. According to Martin, this sample has a short staple, lower yield, with quite a bit of dust penetration, and not as uniform crimp or character as the others. When you have more of a dual purpose sheep that are more selected for certain traits, you lose a lot in the quality of the wool where you gain in the growth. I also noticed that my sample had some tender sections that broke easily. The Rambouillet is a breed of sheep also known as the Rambouillet Merino or the French Merino. The development of the Rambouillet breed started in 1786, when Louis XVI purchased over 300 Spanish Merinos (318 ewes, 41 rams, 7 wethers) from his cousin, King Charles III of Spain. The flock was subsequently developed on an experimental royal farm, the Bergerie Royale (now Bergerie Nationale) owned by Louis XVI, and built on his Domain of Rambouillet, 50 km southwest of Paris. The flock was raised exclusively at the Bergerie, with no sheep being sold for many years. Out-crossing with English long-wool breeds and selection produced a well-defined breed, differing in several important points from the original Spanish Merino. The size was greater, with full-grown ewes weighing up to 200 pounds and rams up to 300 pounds, live weight. The wool clips were larger and the wool length had increased to greater than three inches. In 1889, the Rambouillet Association was formed in the United States with the aim of preserving the breed. An estimated 50% of the sheep on the US western ranges are of Rambouillet blood. Rambouillet stud has also had an enormous influence on the development of the Australian Merino industry though Emperor and the Peppin Merino stud. All images © 222 Handspun. Do not use without permission.